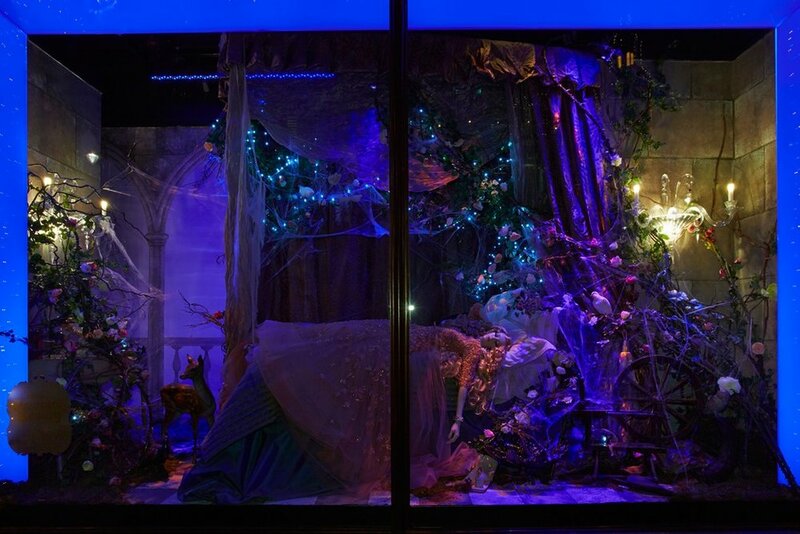 HARRODS’ DISNEY PRINCESS HOLIDAY WINDOWS REVEALED! 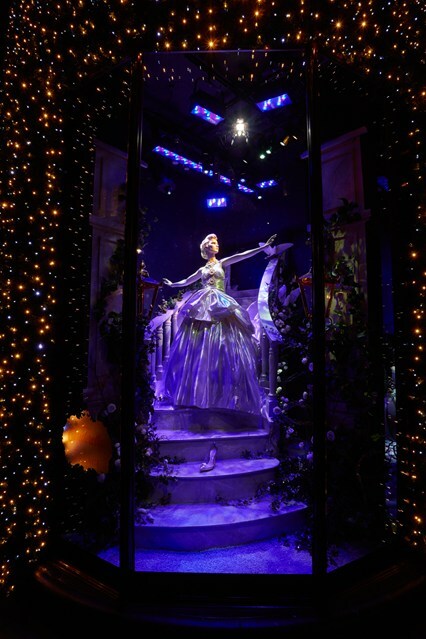 With fireworks, fanfaire, and Cinderella and her fairy godmother arriving by carriage, the unveiling of Harrods’ incredible holiday windows was quite the spectacle. One that makes a lowly boutique store visual merchandiser (with a teeny, tiny budget) like myself, marvel, take notes, draw inspiration, and….breathe a huge sigh. 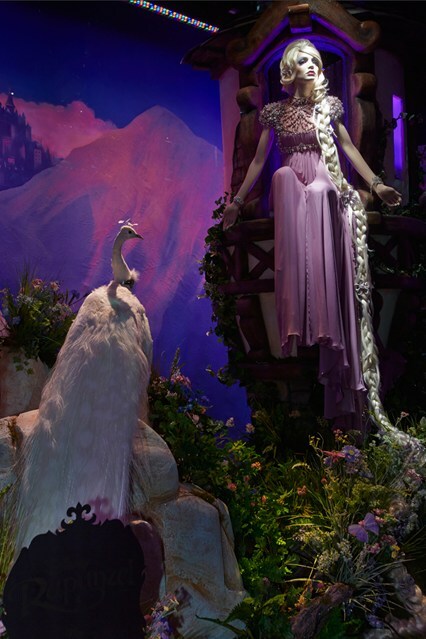 Oh high-end department store visual merchandising job, how I covet thee. 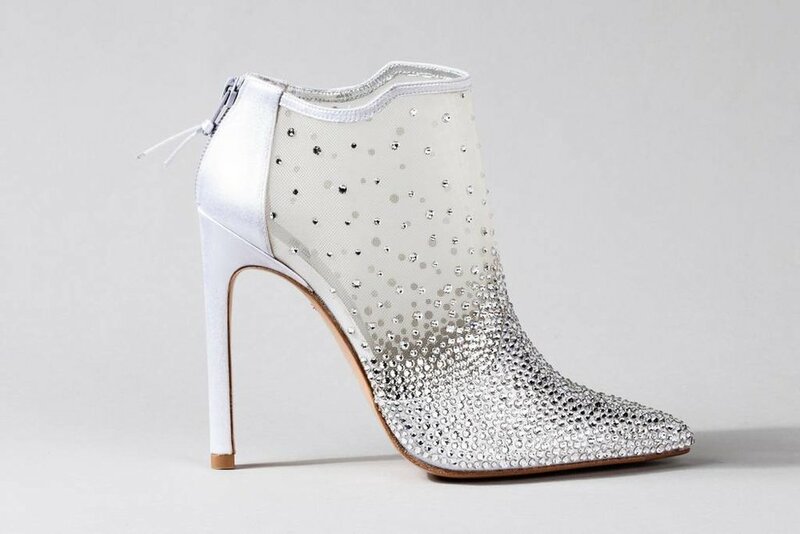 Now if only I had a fairy godmother…. They’re here, they’re here! 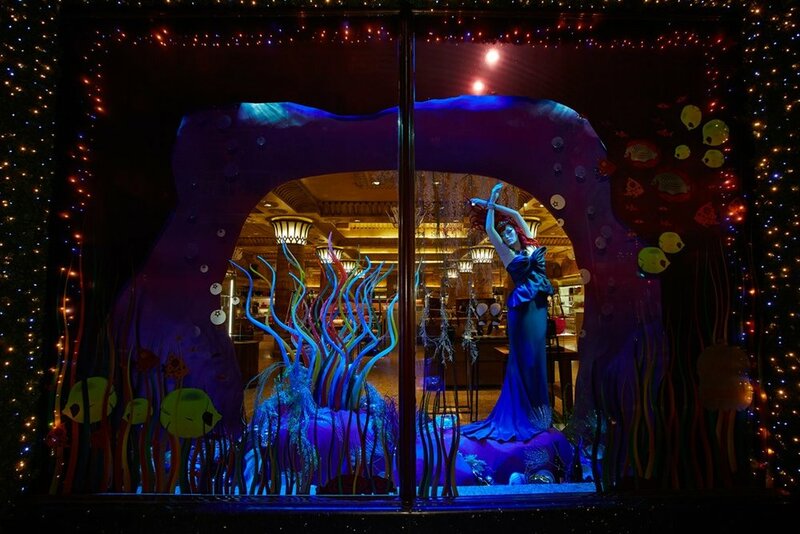 We’re witnessing a MAJOR Fashion + Geekery moment, thanks to Harrods. DISNEY geekery that is, and fashion of the highest caliber. 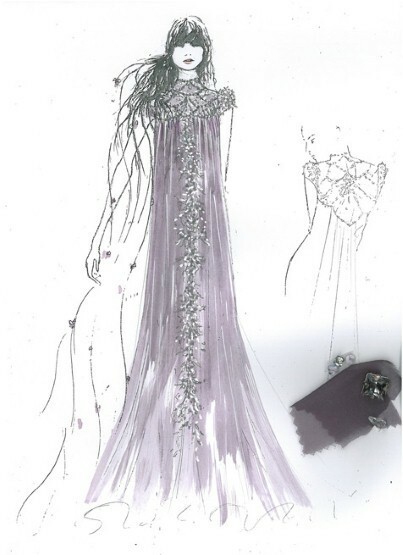 When Harrods announced at the begining of the year that they had asked 10 top designers, including Oscar De La Renta (fave! 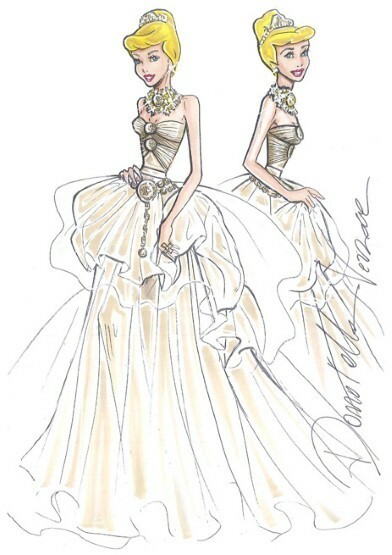 ), Elie Saab, Marchesa and Versace, to create custom gowns inspired by Disney princesses, I was over the moon. 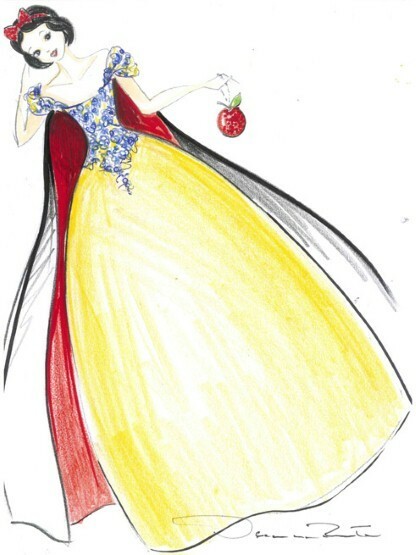 The announcement came complete with a teaser sketch of Valentino's couture interpretation of Belle's infamous yellow ball gown. 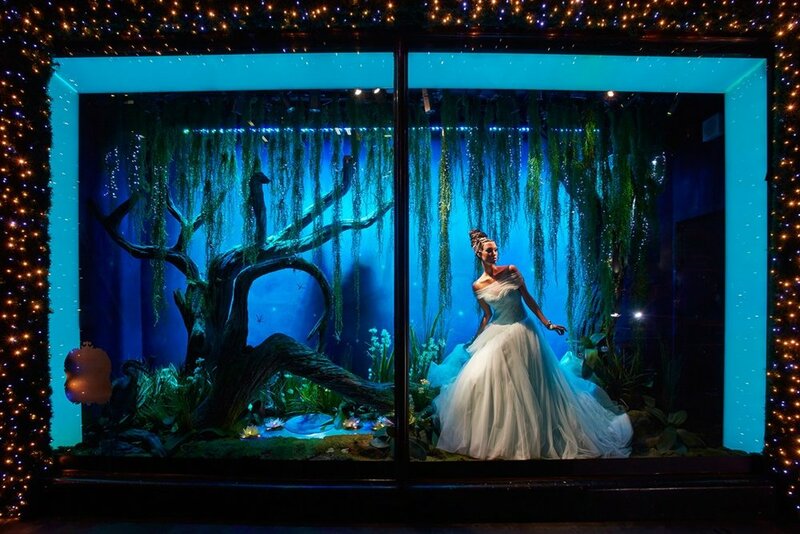 Now, with the windows to be unveiled on November 1st, not only does Harrods give us a look at ALL the sketches (scroll down), but some of the princesses, from Pocahontas to Tiana, to Ariel… are brought to life in this teaser. Can you instantly recognize all of them? 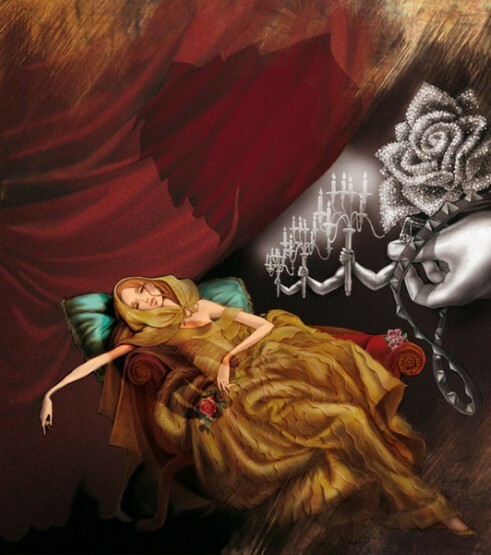 BELLE FROM BEAUTY AND THE BEAST BY VALENTINO A fantasy-like dress in silk chiffon with a sheer hooded cape and layers of exquisite pleats, is accessorised with bespoke signature studded flats and a silver flower bag. 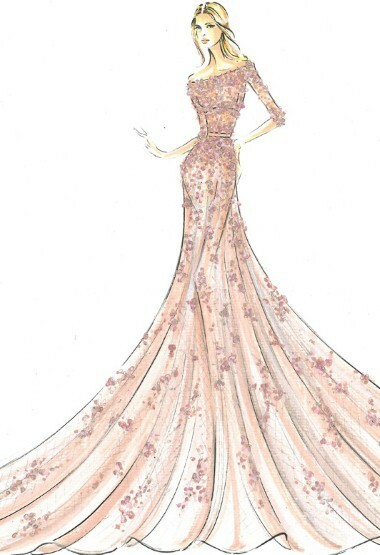 AURORA FROM SLEEPING BEAUTY BY ELIE SAAB Encapsulating the natural grace and innocence of Aurora, this beautiful gown in pale pink is embellished with scattered exquisite beading. 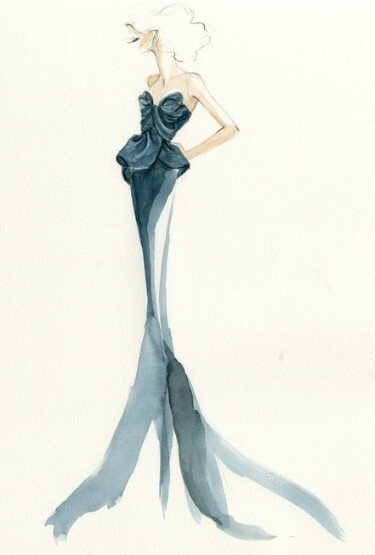 ARIEL FROM THE LITTLE MERMAID BY MARCHESA A chic and elegant deep blue silk evening gown has been beautifully crafted to combine luxurious draped fabrics, which perfectly embody modern feminine style - capturing Ariel’s adventurous under-the-sea spirit. SNOW WHITE BY OSCAR DE LA RENTA 'Someday your prince will come…' This silk gown is divine with intricate embroidery across the bodice and a floor-sweeping cape in signature red. RAPUNZEL FROM TANGLED BY JENNY PACKHAM A magical dress in pale grey adorned with incredible beading that should never be locked away. 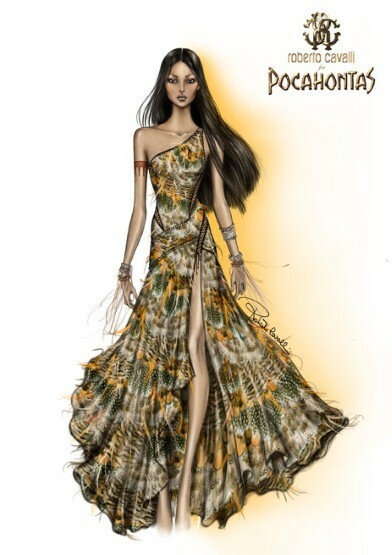 POCAHONTAS BY ROBERTO CAVALLI Featuring soft, golden and natural earthy colours, this gown incorporates prints evocative of dream catchers with pearl detailing. The lightness of a feather and the wings of a butterfly, it is perfect for a princess in love with freedom. 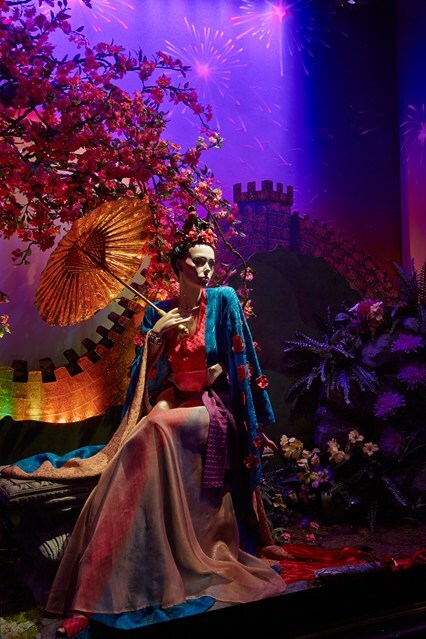 JASMINE FROM ALADDIN BY ESCADA An exotic fuchsia silk chiffon gown encompasses the fiery beauty of Jasmine, complete with an extravagant golden flower belt. 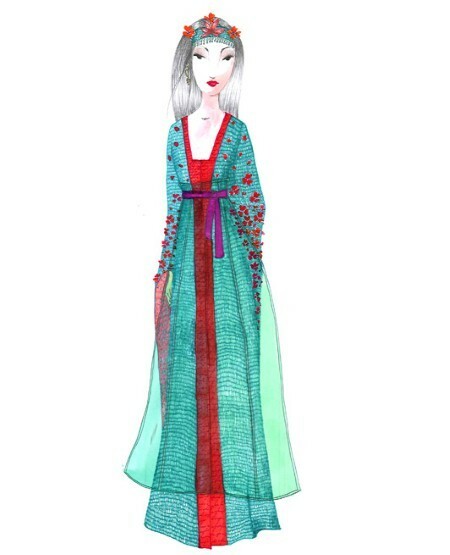 MULAN BY MISSONI A land of silk and jade has inspired this oriental kimono-style dazzling creation, that features bold turquoise shades and red detailing. 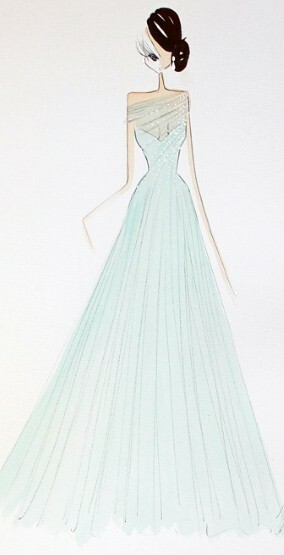 TIANA FROM THE PRINCESS AND THE FROG BY RALPH & RUSSO A dream come true, this mint evening gown with a sweetheart neckline and mesh overlay, features scattered crystals that cascade into a layered tulle skirt. 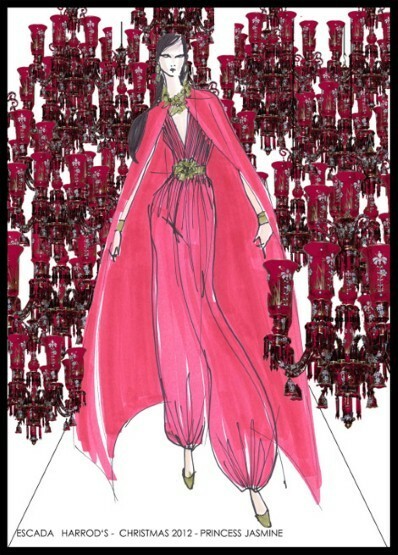 You shall go to the ball’, in a stunning contemporary interpretation complete with golden layers, a tiara, a bold statement-necklace and of course, glass slippers – emblazoned with the iconic Versace medusa motif. November 1st can’t come soon enough. Now, how do I win myself a trip to London? !